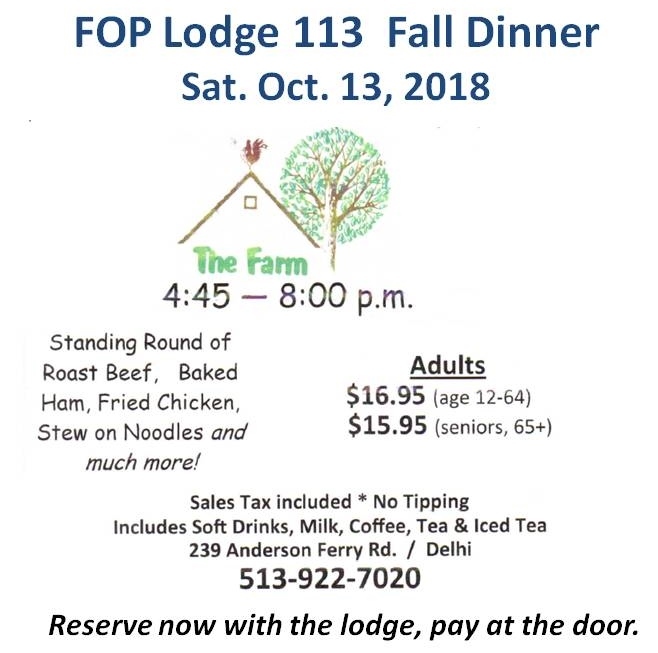 The members of FOP 113, their guests and our supporters are invited to join us for a buffet dinner at The Farm in Delhi Township on Saturday, October 13, 2018. Doors open at 4:45 pm and the buffet is open until 8:00 pm. You can pay at the door, although we do need a count of how many are planning to attend so they can reserve an area for us. Email of the person making the R.S.V.P.